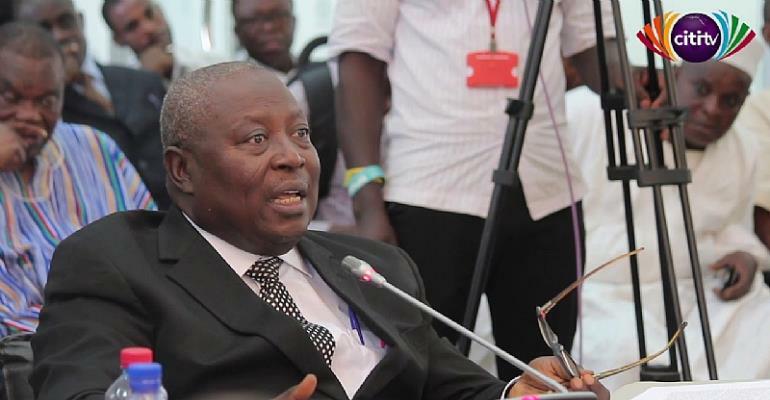 Incoming Special Prosecutor and former Attorney General, Martin Amidu, has strongly defended his assertion that his criticism of the Mahama administration through his various articles, were sometimes based on perceptions and opinions. Following his vetting by Parliament's Appointments Committee for the position of Special Prosecutor, Mr. Amidu has been criticized by the National Democratic Congress [NDC] Minority, for failing to provide evidence to support his claims that the Mahama administration was corrupt. When he was pushed by some Appointments Committee members to provide evidence to back his claims, Mr. Amidu told the Committee that as an activist, his write-ups were mostly based on perception. In his latest epistle however, Mr. Amidu, who has been approved by Parliament as the country’s first Special Prosecutor, said his response did not necessarily mean that his claims were not based on facts. “Before then I wish to say my response at my approval public hearing that some of my articles are based on my perceptions and opinions does not mean that they were not based on fact or reality. An in-depth acquaintance with the Philosophy and Methods of Research will show that perceptions and opinions need not be based on conjecture or non-facts or illusion,” he explained. Mr. Amidu further indicated that he gave such a response in a bid to protect his sources. It is in this spirit that I have taken comments and criticism arising from my responses to the Appointments Committee of Parliament at my approval public hearing on 13th February 2018. Since I met the President on 9th January 2018 for a nomination confirmation discussion and accepted the potential nomination for consideration for approval by Parliament, I considered myself a potential public servant and stopped my citizen's constitutional defence activism under Article 3 of the Constitution by not responding to unconstitutional comments and criticisms about my constitutionally mandated activities. As I put it at my approval public hearing, the nomination gagged me from speaking or writing in the press as a private citizen would. An in-depth acquaintance with the Philosophy and Methods of Research will show that perceptions and opinions need not be based on conjecture or non-facts or illusion. Those learned in research methods and intelligence know that my answers were intended for the protection of my sources and collection methods giving rise to the conclusions I arrived at in my several articles on corruption and abuse of power for private gain. Article 3 of the 1992 Constitution would be hopeless if constitutional activists could not protect their sources and collection methods of information disclosing breaches of the Constitution and suspected commission of crime, and in particular corruption offences. I could not have given facts of corruption allegations in my articles to a partisan questioner without revealing or naming my informants and other sources and collection methods as a Citizen Vigilante. Safeguards in the rule of law enable investigators and prosecutors to use intelligence and sensitive law enforcement information as evidence, in a manner that protects sources and collection methods and that maintains the suspect's right to a fair trial. In the protection of my sources and collection methods as Citizen Vigilante under Article 3 of the Constitution, I used the words “perceptions” and “opinions” to stand for the intelligence acquired from my sources and collection methods; my perceptions and opinions were formed from real human sources and other real collection methods and therefore could not have been based on conjecture. There is no need for any citizen to go into exile as some are alleged to have done, or to contemplate or fear my approval and pending appointment as Special Prosecutor, so long as that citizen has not seriously violated any law worth investigating or prosecuting in the national interest under my remit. The 1992 Constitution protects every citizen from capricious exercise of discretion and I will ensure strict compliance with the letter and spirit of the 1992 Constitution in protecting the citizen's rights and as well as any abuse of the public purse. The post I had to protect my sources during vetting – Amidu appeared first on Ghana News .